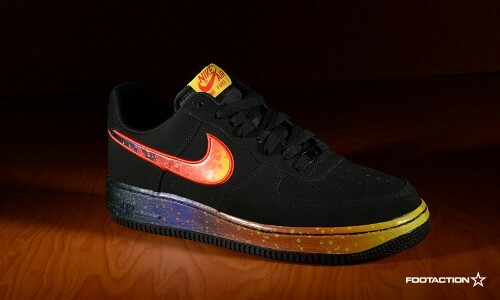 To go along with the Nike Air Foamposite Pro we showed you earlier this week, the Nike Air Force 1 Low is the next to receive the “Asteroid” treatment. Implementing a premium, all-black base — the galaxy theme is kept specifically within the swoosh and midsole. Available in stores and online now.